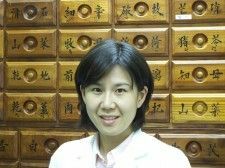 Mrs. He-Joo Yu is a licensed acupuncturist in Illinois. In 2006, She earned her Master’s of Science in Oriental Medicine and a Bachelor of Science in Nutrition from Midwest College of Oriental Medicine in Racine, Wisconsin. She has been a licensed health care practitioner for over 20 years. In 1995, She was a physical therapist in Korea. She had internship training in National Rehabilitation hospital and Kyunghee Oriental Medicine Hospital. After she finished her internship, she worked at Seoul Christian Western and Oriental medicine co-operate hospital. As a therapist, she treated many internal and neurology cases in this clinic. Not only physical therapy but also traditional Oriental therapy used for various cases. She focused on Oriental medicine after she came to America. She practiced with one of the top 50 Oriental Medicine Doctor’s in Korea for the past 5 years, and she is working at Pulling Down the Moon on Wednesday, and Sunday. She had a successful experience about mind, body and spiritual health, especially for women in this clinic. She has a special interest in women’s issues including fertility enhancement, and emotional problem. According to the text of Traditional Oriental Medicine, women’s disease is so complicated to approach. You have to know about her surroundings when you have a female patient. That means woman can sick without physical problem, so as a specialist, you have to find out where sickness come from. Uterus is the second Heart in Women’s body according to Oriental medicine. Therefore, it is necessary make a balance between the heart and the uterus. Acupuncture promotes the body’s natural healing energy, regulates blood circulation and normalizes hormone levels. It is a relaxing experience and helps to decrease stress. All these factors increase the likelihood of a woman conceiving and whole body conditions. She believes that each patient is unique and special. She will be very carefully concern each visit and it is based upon that individual’s constitution and current symptoms to progress their desire. She enjoys helping people get well. Her mission is to ensure our nature and people live harmonize together with promoting balanced health, and spiritual happiness.